Using forklifts is an essential part of many business operations today. Forklifts offer immense utilitarian value in the business world nowadays. It is worth highlighting that each forklift comes with specific load capacities. Forklift operators need to ensure that they avoid exceeding these ratings. If they do, they could find their forklifts breaking down. In many cases, this might necessitate purchasing original forklift parts from reputed suppliers. Many vehicle owners do not pay much attention to the tyres of their vehicle until they start malfunctioning. This is true for forklifts as well. The tyres you use on your forklift could have a significant effect on the performance of the forklift. Using the best tyres could make it easier for your operators to handle the forklift. In addition, this could reduce your forklift maintenances expenses too. It’s never wise to purchase forklift parts from the first supplier you come across. In many cases, you might find yourself paying top dollar for a used or even, a defective part. Eliminate this risk by sourcing your spare parts from a reliable dealer such as Southcoast Forklifts. 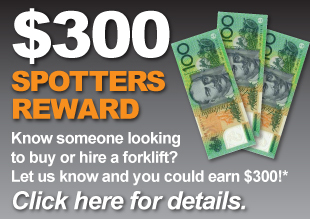 A Victoria based forklift company, we specialise in offering new and used forklifts throughout Australia. In addition, we stock a comprehensive range of spare parts for numerous makes and models of forklifts as well. Therefore, if you require authentic spare parts for your forklift, simply let us know. We will be able to source it for you and deliver it to your doorstep. For more details, call us at 1300 988 795.